Will there ever be a time where I get fed up of trying new mascaras? Nah, not me! I say this every time but I'd be lost without mascara. Without my lashes painted, people ask me if I'm sick or wonder if I got no sleep the night before. It's a terrible affliction altogether to have really fair lashes that look non existent at the best of times! 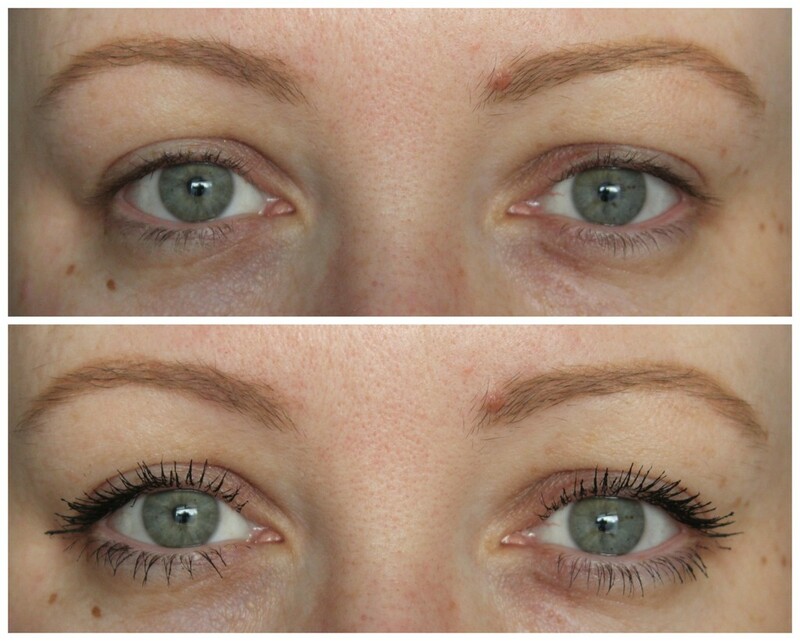 So when the new Rimmel Scandaleyes Xxtreme mascara arrived a few weeks ago, I got testing it out. With it's bright red packaging which stands out from the sea of black mascaras in my stash, it's one I've been reaching for in the morning. 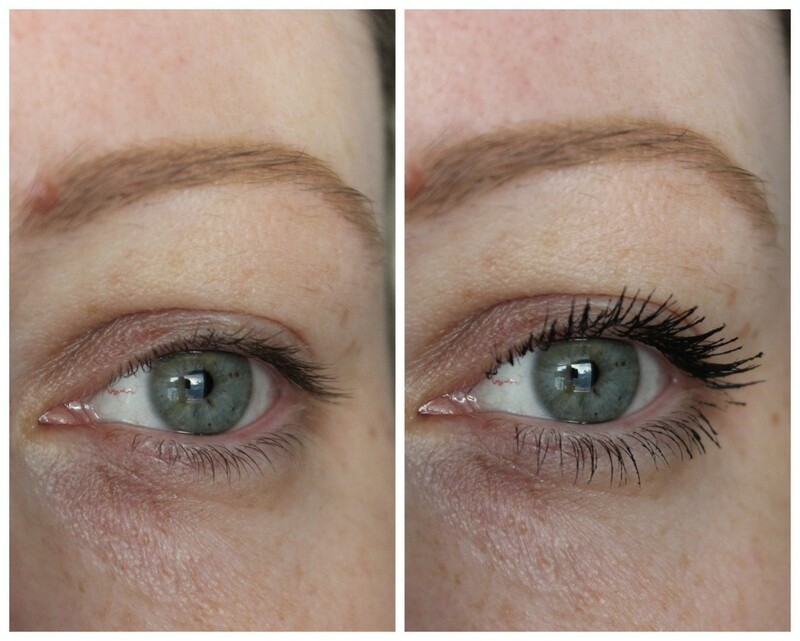 I blogged about my one shadow washes of colour in a recent post and this mascara works perfectly with those or on days where I don't have time to do anything with shadows and need to lash on a layer of mascara and run out the door. The dual sided wand reminds me of Maybelline's Lash Sensational Mascara in that the flat side is used to add length and separation and the arched side gives volume to the lashes. Whereas Maybelline's mascara was wetter and deposited a lot of product onto the lashes, Scandaleyes Xxtreme has a slightly dryer formula and made layering the product much easier. The tiny bristles made it easy to comb through the lashes and made things much simpler when it came to applying it to the lower lashes. The arched side of the wand gave a decent amount of volume, and while one coat is pictured here in the photos (as I always do with mascaras to maintain a bit of consistency), in real life I tend to apply a second coat using the arched side of the wand to give me even more volume. More is more when it comes to lashes and I need all the help I can get to look wide eyed, awake and ready for the day! I found that when I was sick recently where sneezes were plentiful that it smudged slightly under the lower lashes. But when I've worn it and not sneezed like a mofo, it stayed put without any flaking or smudging and it has made a great every day mascara. It'll set you back €8.99 and if I keep using it every day like I have been for the past few weeks, I'll run out of this bad boy. Ooh, that's a thought. I wonder what it's like to actually finish a mascara. Anyone ever done it? Nope, never finished a mascara! Never finish anything :( It looks nice, not a fan of Rimmel mascara in general (everything else of theirs is grand, just the mascara) but it looks a lot less clumpy than I would have assumed! This gives great length. Lashes look great. I was only joking with my friend, I recently finished a C.T. Lipgloss... Other than moisturiser, I've never finished anything... It's crazy.